Lakme has completely revamped their makeup line and are constantly coming out with new and improved collections! Lakme Absolute was one such collection which got raved reviews especially for their lipstick range! I personally love the absolute matte lipsticks a lot! So today I'll be sharing my thoughts on the Lakme Absolute Bi-Phased Makeup Remover which is priced at 210 for 60ml. Description:- One product, two functions - Lakmé Absolute Bi-Phased Make-up Remover is a unique formulation where the oil phase lifts off makeup while the water phase refreshes and conditions skin without leaving any stickiness. It effortlessly removes all traces of makeup from the face, leaving the skin feeling fresh and hydrated. Lakme Absolute Bi-Phased makeup remover comes in a plastic see through spray bottle packaging. I absolutely love this kind of packaging for a simple reason as it helps to control the amount of the product coming out and also helps in less wastage. The makeup remover is bi-phased which means it has part water and part oil very similar to the Maybelline and L'oreal versions. I have been using this makeup remover for over a month now and have mixed feelings about it. I totally love the concept of spray bottle. The makeup remover is said to remove face as well as eye makeup, even though it mentions we can use it on face I only prefer to use it for my eyes and it does work very well. You need to shake the bottle well before spraying it on a cotton pad. It removes all traces of eye and lip makeup including lipsticks, eye shadows, long wearing eye liners, mascara's and kajal. The only problem is that it does not remove waterproof mascara very well and I need to go over the lashes for 3 to 4 times which can be harsh. It does contain fragrance which for a change is very mild and I really like it. I have very sensitive and dry skin around my eyes and this has never caused any irritations or blurry visions. I also love the fact that it does not leave any oily residue behind nor does it cause excessive drying of the skin. Overall I really like this product and even if one uses it every single day it should last for 1 to 1.5 months which is quite good. I would definitely recommend it to everyone! :( sad this one didnt suit you Renji :( which is your favorite makeup remover? Thanks for the review :) I am using essence remover and its really good..
WOw- Lakme is really coming up with grt things…. 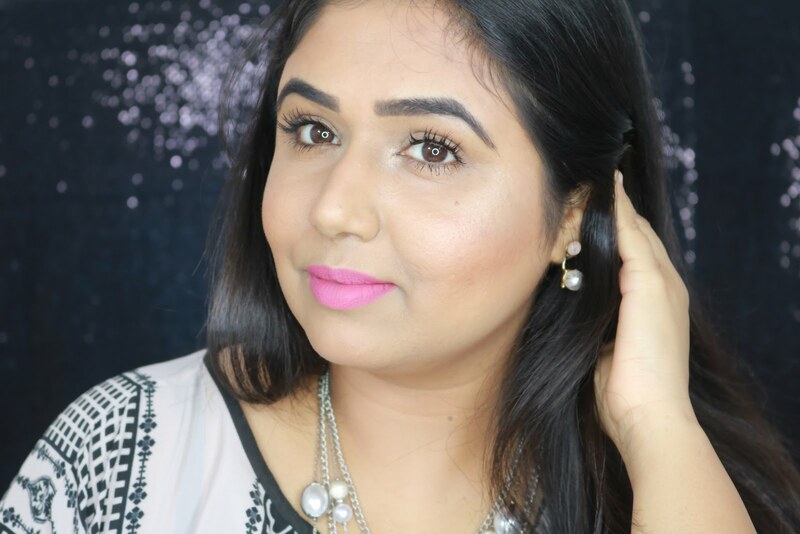 Bee Lakme really has revamped their makeup line! I have used this and somehow this product didnt suit me and cause irritation on my skin! fortunately it did not stung my eyes..try vichy micellar lotion Mayuri..its really awesome! Need to be a little gentle while using it. Can irritate the eyes. I want to give this a try soon...is this better than the Maybelline Remover? Will check this out!! N i love how Lakme is coming with new and good stuff..